We just had lunch after a hectic morning. Just done baking a 3 layer moist chocolate cake for friend’s birthday. This cake is requested by the birthday girl, so I baked this chocolate cake contentedly. Kitchen is in a mess condition, with all the baking and decorating items but the children and I still need our lunch. We had this fish with rice. It was so simple, which took less than 15 minutes to cook. I use dory fish fillet dip in a simple batter. What makes this batter so special, is it is so crispy yet so quick to prepare. Here I attached the recipe to make this batter. 1. Mix flour, salt, curry powder and chilli powder until combine. 2. Add water, stir well. Add vinegar. Stir. Coat fish fillet with flour then dip into the batter. Fry until perfection. Serve hot. 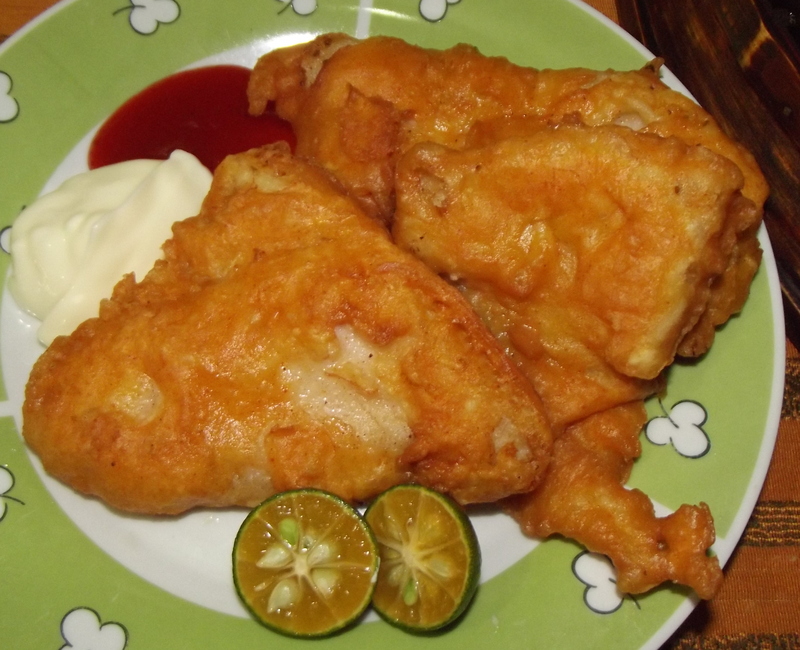 We have our fried fish with chilli sauce and mayonnaise.